Well it gets leaky whenever a smartphone release approaches. After specifications leaks, photoshoots and several other images, here is the press image leak of the upcoming Motorola Moto X for you . 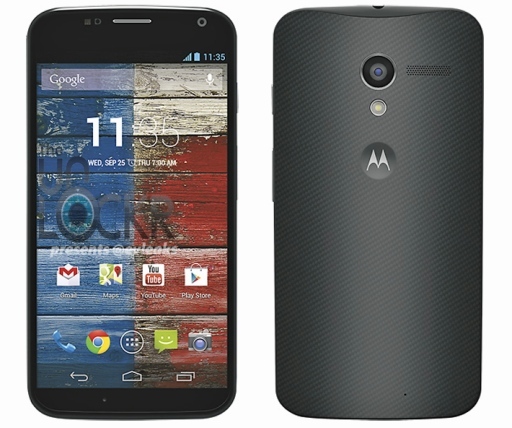 The leak was surface by @evleaks partner site TheUnlockr and shows off the front and back of the Moto X. The smartphone design is typical Google with Nexus written all over it. The same curves as the Nexus 4, three touch buttons and a stock Android. The back has a Motorola Logo on it with the flash beneath the camera.